India is a nation where cricket is just not a game but a religion. Keeping this in mind the sporty team of COMPASS has never failed to organize the annual Compass Premier League. Moreover, it has grown by leaps and bounds with every passing year. Hence to follow the tradition, this year also Compass Premier League was organized. 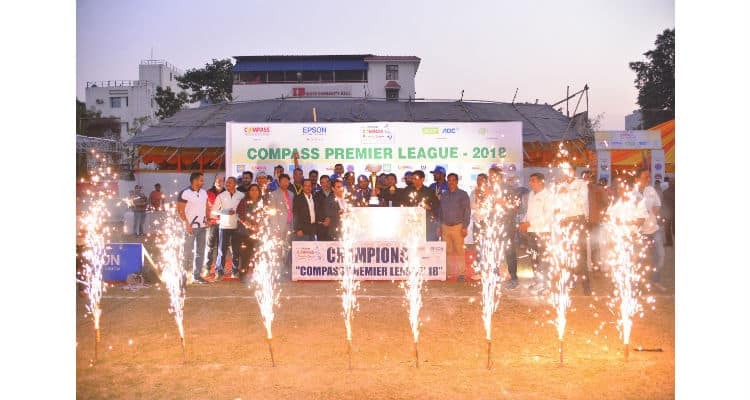 The Compass Premier league 2018 was held at IB Park, Salt Lake, on 20th & 21st January 2018. Epson was the main sponsor of the cricketing event, whereas AOC & Acer Monitors were Associate sponsors. On the other hand, prize and CSR were sponsored by Seagate and Canon, respectively. A total number of 8 teams participated in the two-day cricket tournament. The teams included ACER Predator, DELL Warriors, HP Supergiants, LENOVO Leaders, SUPERTRON Lions, TOSHIBA Tigers, WESTERN DIGITAL Warriors & Compass. All the teams played the matches with great enthusiasm and sportsman spirit. The final was played between DELL Warriors & WESTERN DIGITAL Warriors and the match was by Western Digital warriors. The winning team lifted the cup with glory & pride. The trophy was given by Khalid Anwar, Sr. Joint Commissioner, Commercial Tax Dept, Govt of West Bengal. He was the chief guest for the event. CPL registered more than 2000 guest attendance in two days, almost all industry leading OEMs & Members supported the event to the fullest. The main attraction of the tournament was Kids Corner & CSR activity that took place on 21st January. A special lunch was arranged for 75 kids from Orphans home. All the kids were also gifted with a hamper. In the end, Neeraj Agrawal, Vice President of COMPASS said, ‘We have taken another step forward & tried to match up the feel & expectation with any good National/International cricket event. It was good to see all sponsors happy with flow & arrangements for the event. We have tried to deliver all there branding & promotion requirements through CPL 2018. They have acknowledged it with assurance for participating in next year CPL 2019’. The Annual Cricket Tournament – Compass Premier League 2018 0 out of 5 based on 0 ratings. 0 user reviews.